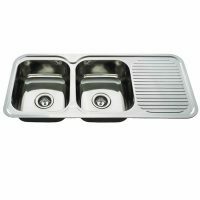 Add some simplicity and elegance to your kitchen with this Squareline Single Undermount Sink offered by Everhard. 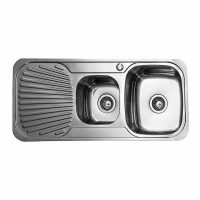 A practical, heavy duty unit, this kitchen sink is equipped with a large 28L stainless steel bowl and is perfect for any kitchen. Designed to be installed as an undermount sink, this Squareline kitchen sink features a classy, yet simple looks which will blend in perfectly with most kitchens and cabinetry. This sink should not be installed as a top mount unit. 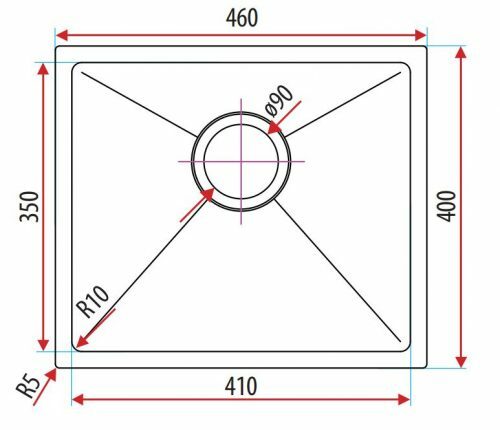 This elegant kitchen sink measures 450x390x200mm and features 90 degree corners with sleek and straight lines. 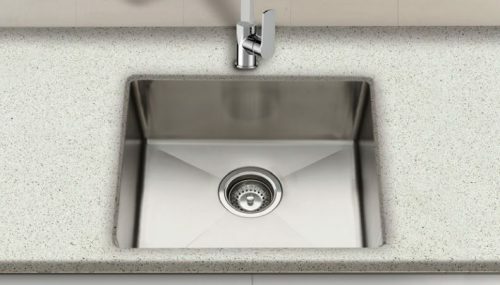 Everhard has added a 10mm radius to the internal corners, which make it extremely easy to clean this sink. This sink comes equipped with a Watermarked 90mm basket waste. 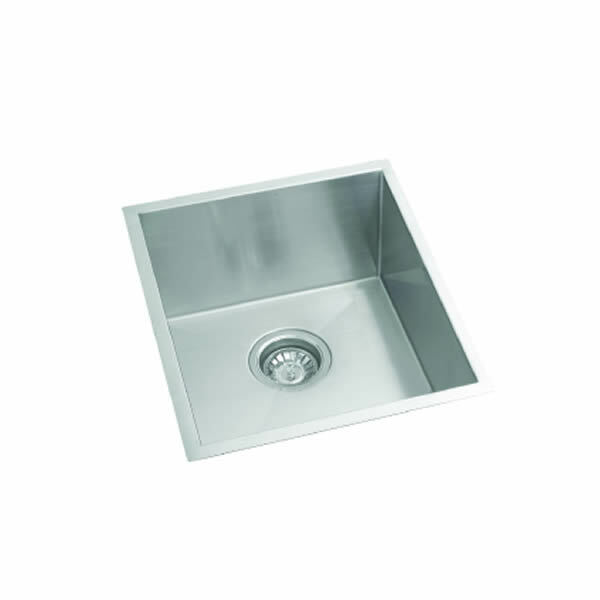 A sturdy kitchen sink designed to withstand many years of usage, this Squareline sink is manufactured using 304 grade stainless steel of 0.8mm thickness. 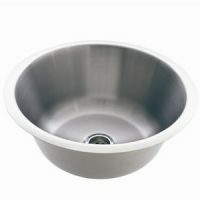 To assure your peace of mind, Everhard backs this product with an impressive 25 year guarantee on the stainless steel bowl. Rest assured – this product is definitely a worthy buy! Simplify your kitchen by adding this Squareline Single Undermount Sink. Buy this Everhard product from Ross’s Discount Home Centre at an unmatched price!